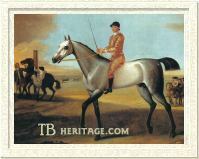 The Lister Turk became the property of Matthew Lister of Burwell Park in Lincolnshire and sired the good runners Brisk and Piping Peg, both owned by the Duke of Kingston. The latter is recorded as the dam of the Hobby Mare (founder, Family #23) and her sister, but these two mares were sisters of Piping Peg. 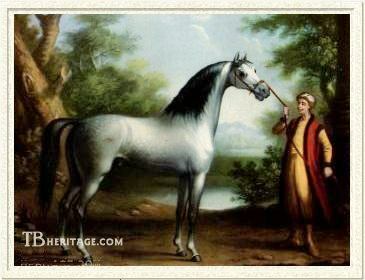 His most important stallion son was Lister's Snake, unraced due to a snake bite as a foal. Snake's two most important sons were the brothers Williams's (or Lister's) Squirrel and Smith's Son of Snake (a.k.a. Easby Snake), the latter the sire of Mother Western, the second dam of Eclipse. Squirrel sired Fair Helen, the sixth dam of Derby winner Aimwell. Snake also sired Beaver's Driver and Bay Wilkinson. Snake daughters proved vastly important, as the dams of Squirt (sire of Marske), Shock, Grey Robinson (dam of Regulus), Young Lamprie, Thunderbolt, Cub, and Blackeyes. There was also a Brother to Snake, sire of a mare bred to another unnamed son of the Lister Turk to produce a mare (inbred 2x3 to the Lister Turk) which became the second dam of Heneage's Whitenose and Heneage's Jigg. The Lister Turk also sired the The Black Lister mare seen early in Family 14. Coneyskins The Lister Turk also sired the Duke of Rutland's Coneyskins, a grey horse foaled in 1712 and bred on the same Hautboy nick as Snake. Coneyskins appears as the sire of at least four mares in the GSB. One was the dam of Hutton's Blacklegs and his sister. Another produced Northern Nancy and an unnamed daughter who became the second dam of The Ruby Mare (dam of Marske). Since The Ruby Mare was sired by Hutton's Blacklegs, she was inbred 3x4 to Coneyskins. Another daughter of Coneyskins became the granddam of Hutton's Spot. Two sisters by the Lister Turk made an impression, the aforementioned Hobby mare, who was the dam of Brocklesby Betty (ancestress of Gimcrack), and her sister, the dam of Hip and Long Meg.